Each public company is required to publish a quarterly financial statement at the end of the first 3 quarters and a more comprehensive annual statement at the end of the year (which also includes the results of the 4th quarter). The financial statement includes details of all the activities and financial results of the company and its current financial situation. This information is used by value investors to analyze the company and evaluate its fair value. You don’t need to be an expert in accounting, but you have to acquire at least a basic ability to read and understand the company’s financial statements in order to analyze stocks. Here, we will discuss only the main ideas of the financial reports and we recommend that you educate yourself more deeply by reading the Guide To Financial Statements. Where can you find the financial statements? The best place to find the financial statement of a company that is traded on Wall Street is on the US stock exchanges commission (SEC) site. 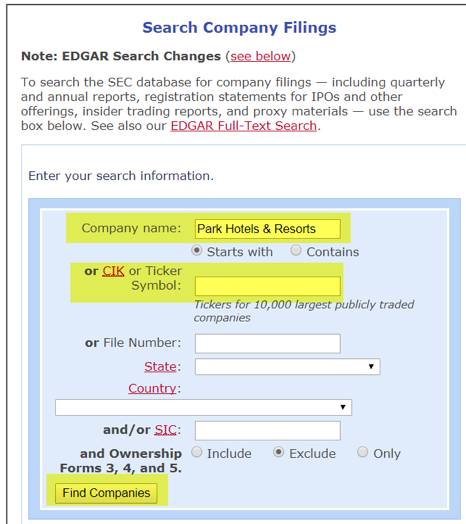 Just insert the Company name or its ticker and click “find Companies” and you’ll get the list of all its publications to the SEC, including the financial statements. The financial statements will be also shown on the Investor Relations section on the Company’s website. The general structure of the financial statements is similar for all companies. Here is an example of the Financial Statement of Park Hotels & Resorts for the 3 months that ended on June 30, 2017. It starts with general information about the Company – what it does, who are its customers, where it operate from, who are its managers and so on. Then, 4 tables are presented: Balance sheet, Income statement (also called Statement of operations), Cash flow statement and the Changes in Equity (also called Statements of Equity), which are summarizing the current financial position of the company and the results of its operations in the period to which the report refers. You have to learn how to read and understand the items in these tables as they are the numbers that will be used to analyze and value the business and the stock. Since only numbers can be written in the financial tables, the company adds “Notes to the Financial Statements”, which are further details help investors better understand the raw numbers that are shown in the tables. At the end of the report, there is a section called “MANAGEMENT’S DISCUSSION AND ANALYSIS OF FINANCIAL CONDITION AND RESULTS OF OPERATIONS” where the Company’s management explains the results in more details and sometimes also give a forecast regarding the future of the Company’s operations. What does the financial tables tells us? There are 3 financial tables: Balance sheet, Income statement and Cash flow statement (the Statements of Equity is usually unnecessary as its details are already shown in other tables). The balance sheet is like a picture of the financial position the Company at the end of the reported period (year or quarter). It is based on the equality between the funding sources (liabilities and shareholders’ equity), to the investments (Assets) that the Company bought with these funds. The assets include all the resources held by the company that have positive value, such as cash, investments in securities, factories, buildings, machinery and more. Also, there could be intangible assets, such as patents or goodwill that arises as a result of the acquisition of another company at a premium to its equity value. On the other hand, the liabilities are all the Company’s financial liabilities to its suppliers and employees, and credit taken from banks or from bond investors. The shareholders’ equity of the Company represents the par value of the stock equity that was raised by the company, the preferred share capital (if it exists) and cumulative net profits that were not distributed as dividends. The income statement details the Company’s revenues and expenses over the period of the report. At the top of the report, the Company’s total sales as a result of its business operations are presented. 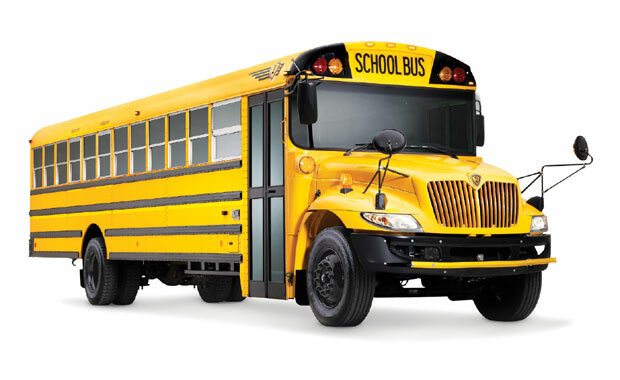 In the remainder of the report, various expenses (or income), such as cost of goods sold, research and development, marketing, management, financing expenses, and also taxes, are subtracted, so we eventually left with the bottom line – the Company’s net profit. It is important to emphasis that profits are not actual cash flow. To understand that we have to remember that customers usably pay in credit, meaning in deferred payment. Thus, an electric supplier might report a revenue and profits for a TV that he just sold, but the cash from the deal could be actually be fully paid only 12 month later if the buyer chose to pay in 12 deferred payments. The cash flow statement solves this ambiguity and shows us only the things that were already paid in cash. Cash flows from operating activities, for example expenses for purchasing of raw materials that is not taken into account in the income statement, or Depreciation and Amortization expenses that were deducted from revenues but didn’t required any cash payment during the reported period. Cash flows from investing activities such as acquisition of new assets (called Capital Expenditures) or other investments. Cash flows from financing activities such as taking loans or distributing dividends. This was just a brief description of the financial statements, and we strongly recommend that you also read the Financial Statements Guide to better understand the meaning of the various items on each report. Introduction: why should you invest in stocks? Long-term value investing or short-term trading: what works on wall-street? What is the best stock strategy for you? How to value a stock?